Lagos State is a metropolitan city characterized by the good, bad and the ugly. This motorcycle which has an umbrella attached to it might be categorized under the ugly depending on the angle from which you are evaluating this supposed innovation. A social media user who spotted this rarity on the street of Lagos decided to share with other netizens and people have been amazed. Amaka Vs INEC which One Disappoint Pass!! Hey Buddy!, I found this information for you: "Trending News!!! 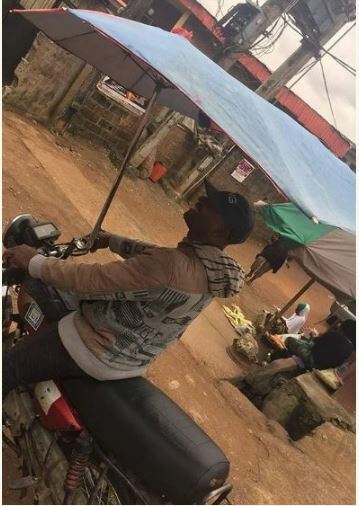 OKADA WITH CUSTOMIZED UMBRELLA SPOTTED IN LAGOS (PHOTOS)". 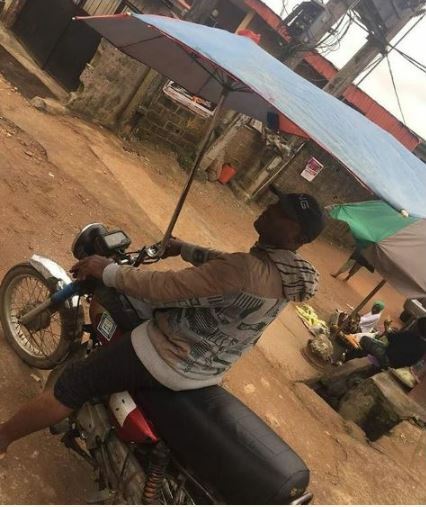 Here is the website link: https://360kwado.com/trending-news-okada-with-customized-umbrella-spotted-in-lagos-photos/. Thank you.